Basically iGotYa works with your standard native iOS passcode lock system. After setting up your information in Settings, if your passcode is being tampered with on the lockscreen, it will automatically snap a picture of the person who is trying to use or steal it and sends the picture along with the GPS location to your designated email address. Obviously, iGotYa will require Wi-Fi or 3G to send this information to you. 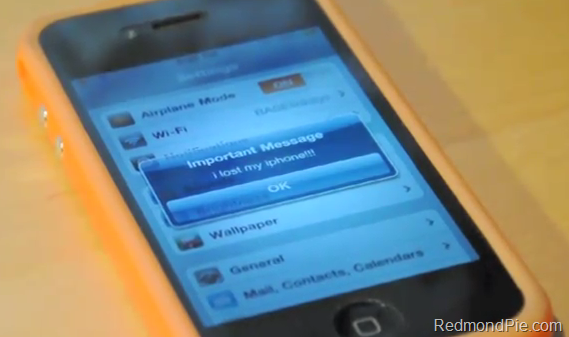 However, in my opinion, this is way smarter than Apple’s Find My iPhone service. If you’re near a Wi-Fi connection (let’s say your school or workplace) it’ll be a lot easier to find the person associated with the crime. Not mentioning how nobody would know as the snapshot is taken silently. Another great feature of iGotYa is the "security mode". This mode allows access to your device after 2 attempts, regardless of what they put in as the passcode. This might sound stupid, but it’s extremely brilliant in ways to keep the person who took your phone from restoring the device, while still taking pictures of them every time you’re on 3G or close to a Wi-Fi connection. Check out the video below for a hands-on demo with iGotYa. You can find iGotYa in the BigBoss Cydia repo for $5.99 with a 10 day trial.